What Does The Best Bond Cleaning In Bowen Hills Cover? Finding and selecting reliable house cleaning in Bowen Hills is not easy. The most common questions we get asked by people like yourself have been collated below to assist you in making a smart decision. 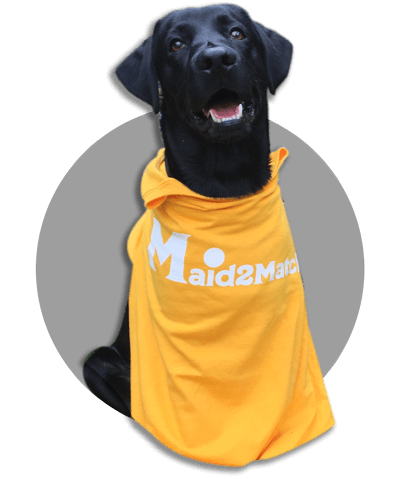 WHY ARE MAID2MATCH BOWEN HILLS’ BEST AT VACATE CLEANING? The truth is great bond cleaners possess a different skill set than regular house cleaners and therefore requires specific experience, dedication, and a first-class cleaning checklist. At Maid2Match, we personally vet all our cleaners, after having them complete a three-part application form. We provide extensive support and have crafted the most effective bond cleaning checklist you’ll find. Look no further than our experienced and insured experts for your end of lease cleaning in Brisbane. One of the inner suburbs of Brisbane CBD, Bowen Hills takes its name from Queensland’s Governor, Sir George Ferguson Bowen. Brisbane is just 3 kilometres south-west from Bowen Hills, so it’s close to the centre of the province. Before the first European settlements in the area, Bowen Hills was home to the Chepara people, and it’s easy to imagine them leaving here even today. If you hike to the higher sports of Bowen Hills, you can understand why the Aboriginals named this place “Windy Area”. But the parks in Bowen hills aren’t its only attraction. There are some Victorian-style buildings which saw the light of day here, like the famous Miegunyah House built by the businessman William Perry. Today, this is a museum that offers a lot of exhibitions and historical talks. But this is not the only famous site of Bowen Hills. You can also admire the Old Museum Building, with its rich architecture surrounded by palm trees. The Brisbane Exhibition Ground is home to about 300 vibrant events each year, while Bowen Park is a true oasis of tranquillity. Our Lady of Victories Catholic Church, also known as the White Temple of Peace, is another important landmark considering it’s a war memorial church.